Two companies merged in 1933 to form Dominion Electrohome Industries Limited. The name Deilcraft (from the first four letters of the company) was introduced in 1937 and became a household name in Canadian home furnishing! According to information, most Canadian living rooms had an Electrohome television or stereo console from the 1950s on. And by 1965, Electrohome products were being sold in 23 countries. There was even a plant here in Nova Scotia. Jane and I have seen quite a few Deilcraft coffee tables come through the store but this week we have a Deilcraft stereo! 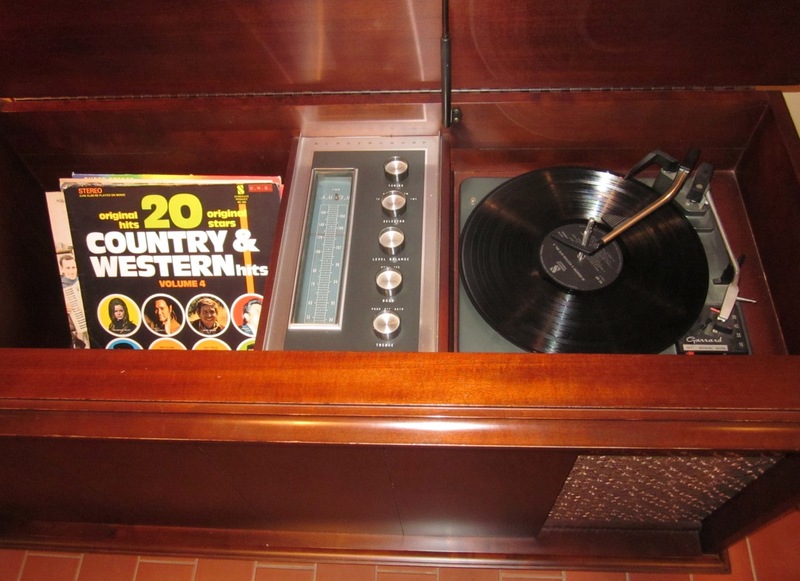 This Stratford model Electrohome Stereo was bought in 1973 and has come out of an estate here in Annapolis Royal. The record player works wonderfully and has a great sound. Come on in and have a listen ! Electrohome Stratford model stereo. Beautiful condtion. 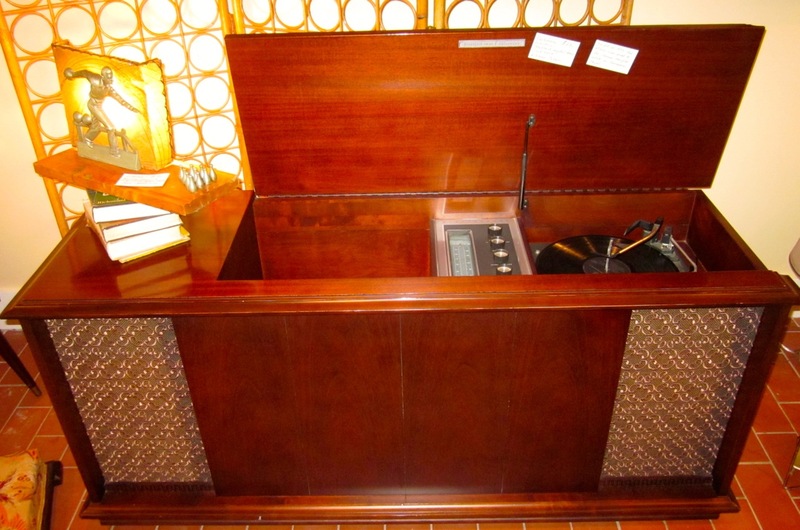 Detail of the inside of the Electrohome stereo cabinet. Well, we had go-go good time last night ! The 2013 Princesses rode down the street in their cars but ladies and gentlemen of the Town of Annapolis Royal dressed up in their finery and walked behind them to the market square where the princesses were introduced, there were free hot-dogs on offer by the Town and cooked by members of the Friends of Annapolis Community Pool Society and DJ played for us all. Don”t you just LOVE this Town ? 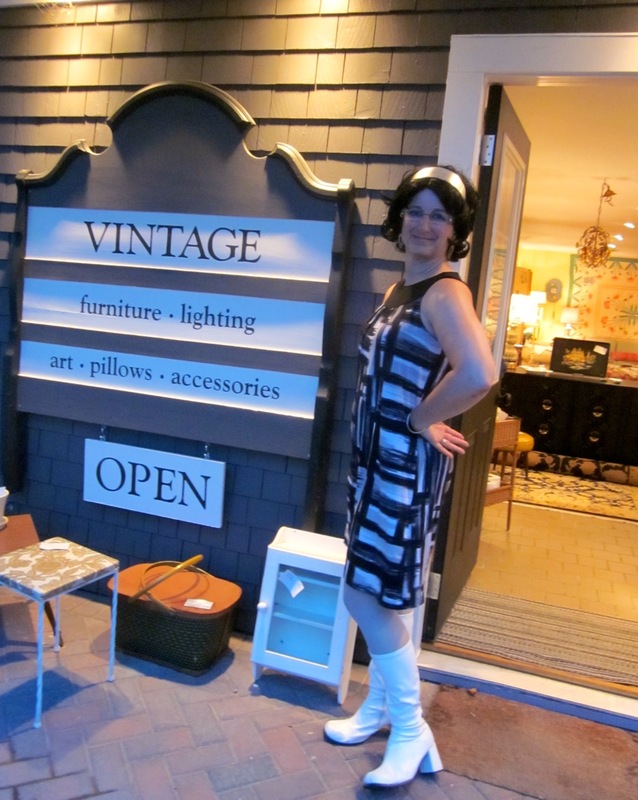 Christine as a go-go girl for Advanced Style on August 2nd.